Third of four shows at The Horseshoe Tavern dubbed Spring Nationals. Kindly recorded and provided by Mark Sloggett and Matt Kositsky. Featuring Hugh Marsh on Violin and Ford Pier on Vocals and Keyboards. 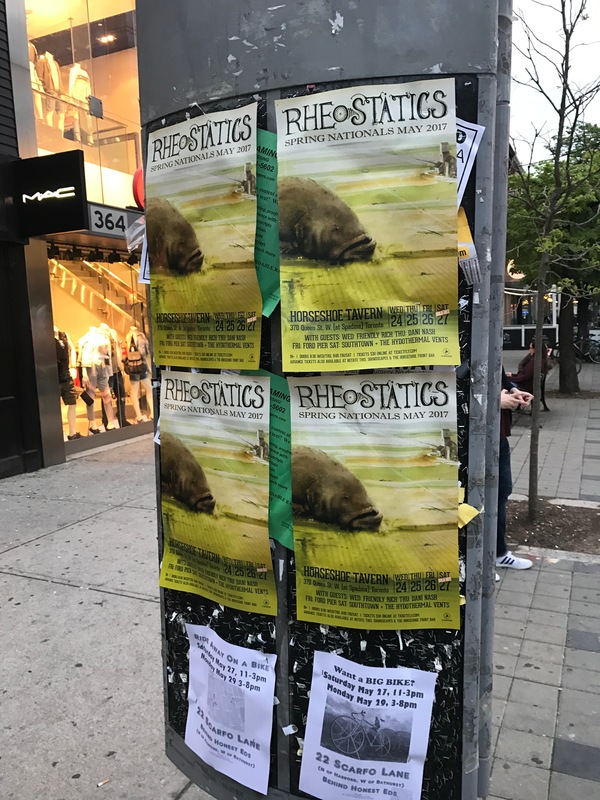 This was one of the best Rheos shows I've ever seen. At the end of the show Jeff Robinson presented Martin with the custom made guitar he had been working on for the past 6 months. Martin then played an inpromptu version of Indian Arrow which he had last played on his Farmer In The City tour 18 years prior. Indian Arrow is a 13 Engines song that to the best of my knowledge was never recorded, nor does Mike Robbins apparently recall writing it...but Martin knows it.